We wanted to try this software in action ASAP and instead of taking pictures with a photo camera, we took plenty of screenshots from one of the 3D video games. 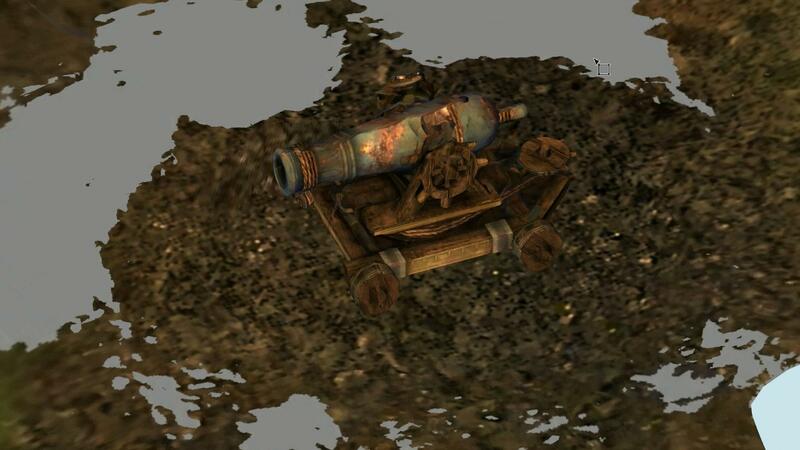 A cannon in Guild Wars 2 was the best object for our learning purposes. It was small, solid, it didn’t move and wasn’t shiny. We took plenty of screenshots of the cannon from all angles. Then the folder with all screenshots was uploaded to ReMake. It took around 20 min to complete the processing. That is when you can tell if your scanned object is successful or not. Don’t be afraid when you see your object as a tiny fragment in the middle of all sort of debris. ReMake offers different tools to clean the area, to smooth an object and make it 3D printable. In a slicer (Simplify3D) we added support and performed the last check before saving a G-Code. 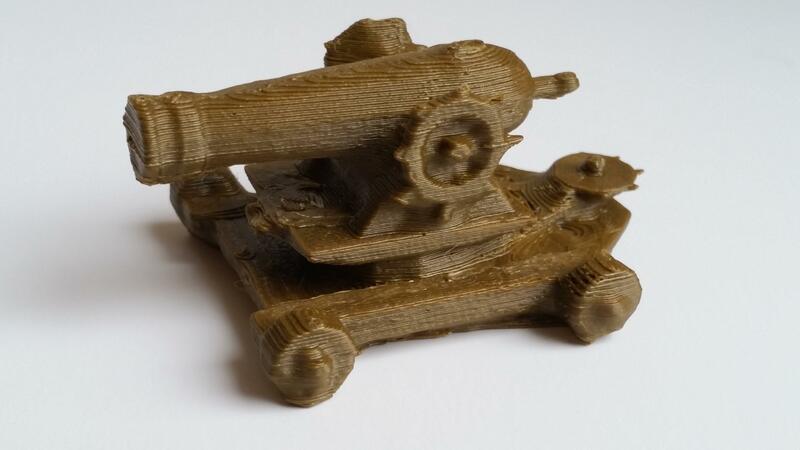 Bronze colour filament worked well for our cannon. We printed it in ABS filament with layer height 0.2. For a better result, 0.1 can be used. One day we will try acetone vapour smoothing to make our object smooth and shiny. Pictures above show our cannon in ReMake before it has been cleaned, on a printing bed with support and the final result. – For shiny or reflective objects, the only way to capture them is to make them stop reflecting light. To achieve this cover them temporarily in some matt solution. Otherwise, software will be confused and 3D scanning will fail. – Focus and capture all pictures manually. Use Open Camera app for mobile phones. – Avoid large areas of single color. It might leave holes in 3D scan. – Make sure that your object stays still and not shaking while scanning. – On and off sunrays during capturing your object may also confuse the software.